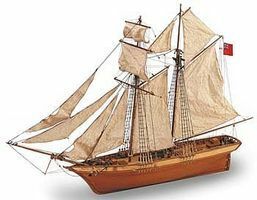 This is the Latina 1/65 scale La Pinta Wooden Model Kit. For advanced modelers. The Pinta, together with the Santa Maria and the Nina is world famous for its part in Columbus's discovery of the New World in 1492. This is the 1:35 Scale Titanic's Lifeboat from Latina. 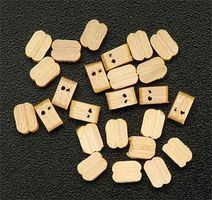 This is a package of eighteen 5mm Double Blocks from Latina. This is a 5 Meter Roll of 1.5mm Brown Cotton Thread from Artesania Latina. 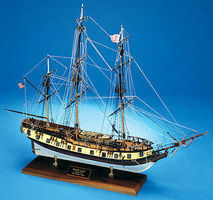 This is the Latina 1/65 scale La Nina Wooden Model Kit. For advanced modelers. 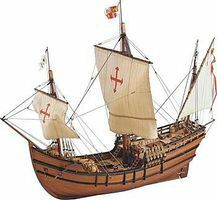 The Nina, together with the Santa Maria and the Pinta is world famous for its part in Columbus's discovery of the New World in 1492. This is rigging thread for rigging Sails on Constructo boats and will also work on any static display sailing vessels that require rigging thread. This is rigging thread for rigging sails on Constrcto Boats will also work on any static display sailing vessels that require rigging thread. 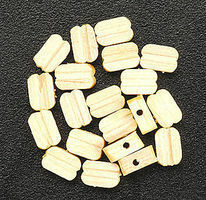 This is a 2mm diameter Chain from Latina. 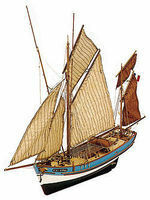 This is the Constructo 1/75 scale Swift Sailing Ship Kit.